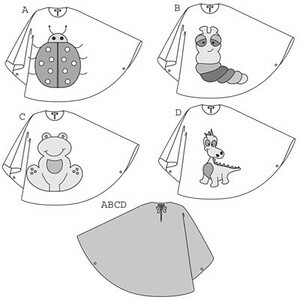 You don’t even need a sewing machine to make this cape of vinyl fabric! Simply glue two pieces together at the shoulders. 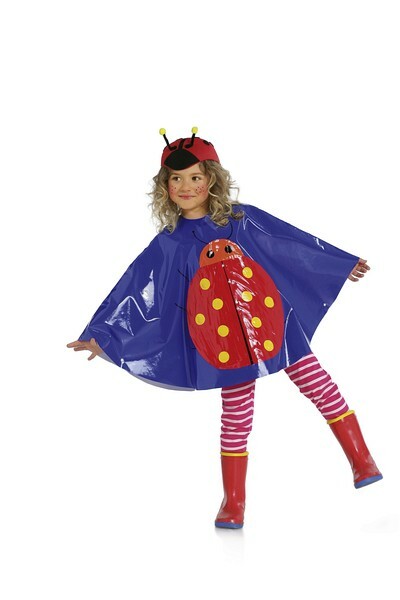 Then add various extras to turn the cape into a ladybug/ladybird, a caterpiller, a frog or a dragon... or use your imagination to create your own unique costume.